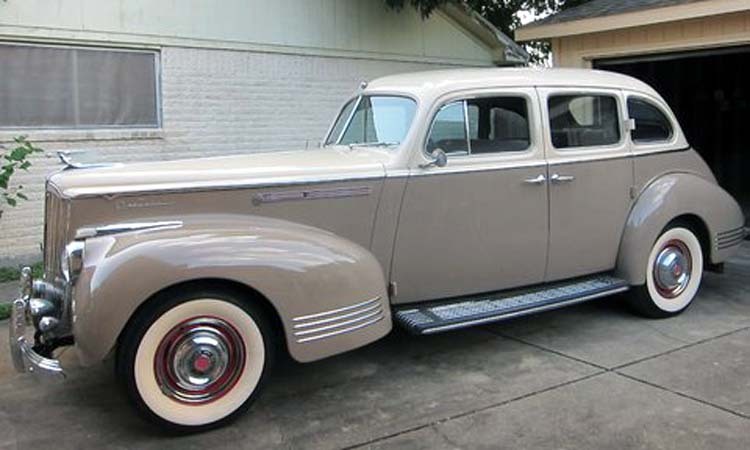 This beautiful 1941 Packard 120 Touring Sedan was restored in the mid 90s by a gentleman in San Francisco for his weekend driver to attract peoples’ attention. My cousin, who lives in Los Angeles and owns a company that rents cars to the movie and entertainment industry, purchased the car about 3 years ago. The car has appeared in "The Aviator", "J. Edgar", "Captain America" and will be featured in the upcoming "Gangster Squad" staring Sean Penn and produced by Clint Eastwood This movie is scheduled for release in January of 2013. I had been looking to purchase an old car for about 5 years and I decided on a Packard about 4 years ago. I "asked the man who owns one", literally. I met Michael Calistrat at the funeral of a mutual friend and he told me about the Lone Star Packards Club. I went to Keel's and Wheel's and there met Ben Carter and Tommy Baccaro and saw some beautiful Packards on display. I was sold! I made arrangements to purchase this car almost one year ago. It has been on several movie sets during that time and was not available to be shipped until last month when I finally took possession.